This is a very long book, 477 pages including the postscript, plus back matter that includes the text of the Constitution and the Bill of Rights, plus extensive notes, and an index that brings it up to 655 pages. When approaching such a vast book, I rarely read straight through, or even all of it since some of it is redundant to what I already know. Unfortunately, the chapter titles in the book are next to useless in describing the content one might expect to see in the book and it is clearly not organized by any logical organization. As a “biography” the author obviously declares that he must start at the beginning. Back in the day when I was a book development editor, I would have strongly recommended some alternative structure than starting at the beginning. Since no dates are included in the headers or chapter pages. I turned instead to the index to try to get a sense of where I might find the material I was particularly interested in, the 14th Amendment in this instance. Unfortunately, as detailed as it is, the index did not list many of the topics I expected to find. It did direct me to scattered references to the 14th Amendment, but though the bulk was grouped in one major page group (not necessarily related to timeline or to a chapter’s full content) the index listing is about 2 1/2 inches long in tiny print, all jumbled together so it is hard to see index terms distinctly from the pages. Better designed books would indent each topic with a dash and one topic per line. You might think this is irrelevant to the content because authors do not prepare the indices, but they should at least review it for acceptability. One notable absence was an entry for “abortion” that is probably the most hotly contested issue in the courts (wrongly) today. Suffrage is a see reference to voting rights, and that has just a few pages. A brief review of some of the text, with a chapter photo featuring Suffragettes, had barely any discussion of the actual struggle women went through, certainly nothing about the imprisonment and beatings, as well as the forced feeding of hunger strikers once jailed. It looked to me like more attention was paid to the Amendment that changed the voting age to 18 due to the many protests during Vietnam War that these young men were sent off to fight a war but did not have the right to vote which was clearly unjust. Similarly, at the time, many states changed the drinking age from 21 to 18 on the same principle, old enough to die for your country, you are old enough to have a beer. The Nineteenth Amendment is also sandwiched in with details about Prohibition. Probably because so many women opposed drinking, and quite justifiably given that they had no recourse when their husbands drank away the paycheck needed to feed their families, and often became domestic abusers in drunken rages. None of which is cited in the discussion about the reasons it was passed n the first place (seems like he kind of attributed directly to women having gotten the vote). A summation of the cases with Constitutional implications would have been a nice chapter. Voting rights as a subject deserved better than the short shrift he covered. Especially since Scalia et al subsequently gutted the Voting Rights Act and contributed to changing history with another one of his bad decisions. In fact, BAD constitutional decisions and their relationship to the Constitution, the Bill of Rights, and subsequent Amendments would have been a good biographical approach for one section with multiple chapters. I guess I am spending so much time on this editorial critique of the book because it could have been SO MUCH BETTER with a better editor. I am confident that the author had the information I could really use, but with the rambling and disorganized pages full of thousands of words, it is impossible to find a thread to follow. The Fourteenth Amendment is the amendment that declared persons born here American citizens. Women and children, and especially African Americans who had been denied their civil rights during and subsequently in Reconstruction. Prior to the Civil War, the infamous Justice Taney on the Supreme Court proved for all time that some JUSTICES do not deserve the title or the job. He declared that blacks “could not be citizens because they were regarded by the white race — and not merely white governments — as ‘beings of an inferior order, and altogether unfit to ASSOCIATE with the white race,’ with ‘no rights which the white man is bound to respect.’” (p. 382) This was part of his one of the worse Supreme Court decisions, the Dredd Scott (1857 pre-Civil War) case, of all time, at least until Scalia eviscerated multiple laws and established actual unconstitutional laws, such as declaring corporations are people (compare with Dredd Scott, actual people because they are black skinned, aren’t people!) or his gutting of the Voting Rights Act that contributed to the fall of our democracy now in December of 2016. OMG, I just did a Google search because I was interested to see if Taney had voiced any opinions as to whether women were people or not. I suspect he regarded them (white women) as human but “incapacitated” by their gender for POLITICAL participation. Since the law in Revolutionary times considered women chattel, i.e. property, I am surprised he allowed for them to be considered citizens. Gross! Disgusting. And to think Scalia proudly embraced originalism as the be all and end all of Constitutional law and his worthless sidekick, Clarence Thomas went along with this false construct despite the fact that he would still be a slave under that doctrine. What shocked me even more was that another hit when I went looking was a site where, beginning reading with dread (no pun intended) a story of a black man who was given a tour by the evil incarnate Louis Gohmert and with words of admiration for that wretch, then went on to describe the presence of the actual long black robe that Taney wore when giving the Dredd Scott decision pronouncing Taney a LIBERAL ACTIVIST judge! This was basically an antiabortion screed of such twisted reasoning that I continue to be appalled at the false beliefs and misinterpretation of law as bad as Dredd Scott. But that said, I agree that the 14th Amendment should in fact provide women with the right to bodily autonomy and therefore abortion. 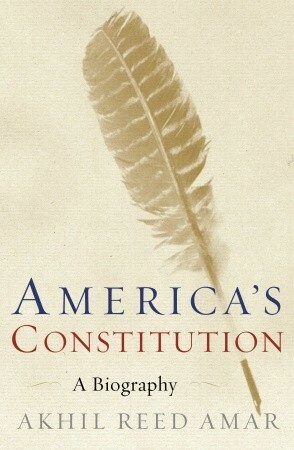 In Taney’s opinion, he goes back to the Articles of Confederation as well to support his thesis that that language change from that document to the new Constitution left out a bit on “free inhabitants” which “proved” the founders deliberately did so to eliminate the possibly of blacks as political citizens. (also from the history web site) Naturally he also cited the infamous and long lasting devastation of the infamous 3/5th compromise to declare that it PROVED that the founders did not regard blacks as full people. Completely missing the whole point of the compromise that allowed the United States to exist. Scalia later used some of this perverse thinking of the distinction between the rights of citizens and political participation and used that to justify why the right to vote IS NOT a constitutional right, although many would believe otherwise, it is unfortunately demonstrably true by the fact it took Constitutional amendments to force the evil overseers to allow African Americans and women the right to vote. Just because you are a citizen, according to Taney, that does not give you any rights to participate in the political community. Taney also uses the status of Native Americans to justify keeping citizenship and political rights from African Americans. He actually has the gall to call THEM “foreigners” in his opinion! The 14th Amendment refers to “persons” and this is why the forced birthers are so keen to have the instantaneous combining of sperm and egg to be declared a “person” in their multiple personhood laws. And now we go from bad to worse with the threats against Jews, PoC, and Muslims. Religious beliefs that demonize people for different religious beliefs are surely a sign of collective insanity. At least one entry under “women” in the index led to some new and interesting information for me. Apart from this persistent irrational distinction between civil rights and POLITICAL rights, the fact is that the WHITE MALE legislators formulating the 14th Amendment DELIBERATELY made a representation penalty for disenfranchising the African Americans but made no such penalty for disenfranchising women under the new citizenship provisions. This change in section 2 was met with horror by the women’s rights advocates. The author does point out that section 2 caused division among women-rights advocates because they were also often abolitionists who supported the African American men the right to vote. This pitted the women to act against their own self-interest for the larger good, as women always seem to do to my sorrow. It is my firm belief that misogyny is more deeply rooted and more profoundly harmful than racism. Just as black men got the vote before white women, a black man became president before a white woman. I doubt we will see in this sad post 2016 election world a black woman president although many are more qualified than the next administration and his cabinet of deplorables. I was going to conclude with something dreadful back in the sixties to demonstrate the ruthlessness of misogyny but I can’t; it is too depressing because I don’t think much has changed, but as a privileged white woman it is not for me to say. So this book is a slog and then some but their are nuggets among a lot of dross. It would be better serve as a word searchable format to make any sense of it as a whole.